CO2 emissions covered under the EU ETS rose by 0.3% in 2017, according to EU ETS verified data for 2017 published by the European Commission on 19th May 2018, confirming the small increase both reported in preliminary data released in April and predicted by analysts. An increase had been widely forecast due mainly to increased coal generation as nuclear plants suffered reliability problems and hydro generation was very low in many parts of Europe. Yet, carbon price has risen almost double since the start of 2018 while oil, power, and natural gas are all 20% higher than they were at the beginning of 2018. While the EU compliance was reaching its climax, the speculative trades continued to support the European carbon market, betting on higher prices in the coming months. April’s open interest in call options for December 2018 EUAs has risen to 207 million tones CO2, while put options show a total of 139 million tones CO2. Analysts in mid-April raised their price forecasts for 2018 by around 30%, especially because of this speculative element of the CO2 market, which continues in May, as well. Yesterday, 23.05.2018, EUA closed up at Eur 16.01, the highest level since 2011, after a long steady recovery. This consolidation may give traders encouragement to add length, and given the scale of recent price moves, this may bring more rise of the price into play. At the same time, on 15th May 2018, the European Commission published the Total Number of Allowances in Circulation into the EU ETS (TNAC), which amounts to 1,654,574,598 allowances. This means that between 1 January 2019 and 31 August 2019 264,731,936 allowances will be withheld from EU ETS auctions and placed in the Market Stability Reserve (MSR). This represents 16% of the TNAC over this 8 month period. When the MSR starts operating in 2019, it will absorb each year 24% of the allowances in circulation if this figure is above 833 million allowances. From 2024 onwards the intake rate declines to 12%. The first review of the functioning of the MSR is scheduled to take place in 2021. The Market Stability Reserve is another reason for the CO2 price increase together with the speculative trend. Given these moves and forecasts, forward transactions we highly recommend Romanian installations to secure the price for the expected CO2 trades. This means that the price is locked up at the current level while payment is done at an agreed future time, possibly closed to the next surrender. 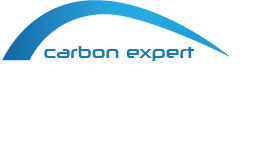 The Italian company, Aither CO2 has entered for the first time, this year, into Romanian carbon market, helped by the Romanian consultancy Carbon Expert. They won both tenders at BRM exchange as well as state and private company tenders, with revenue on the Romanian CO2 market of more than 12 milion Euro. We are looking forward to seeing your interest in forward transactions due to the current risen trend of the EUA price.